The Uncertainty cloud which was looming over the Wind Sector in U.S, for a couple of months have subsided, as the US Government has signed the agreement to push the expiration of Wind PTC to the end of 2013, as a part of averting Fiscal cliff. 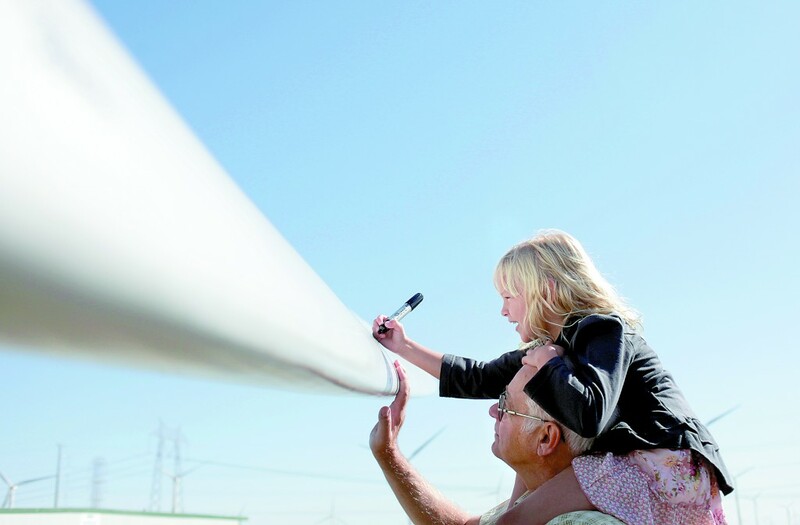 The PTC extension will cover the wind projects which would start construction before 2014. Normaly it would take about 18-24 Months timeline for a wind project to complete in US, from planning stage to construction. Renew India Campaign, wanted to investigate whether the Wind PTC extension at the last moment will help rejuvenate the Industry or fail to impress. Projects worth Billions of Dollars remained idle in the past few months, as the uncertainty was looming in the Industry. But Rob Gramlich, the interim CEO of the American Wind Energy Association (link) says the Government had shown the right flag at the Industry. "With the passage of the wind energy tax credit extension, First Wind and other wind energy companies around the country have predictable federal policy in place that will allow for millions of dollars of investment in local communities over the next few years and We are planning to substantially expand our portfolio by as much as 50 percent or more with several projects starting construction by the end of 2013. That will mean jobs and investment, and consumers will be getting clean energy at a competitive price." Also there is seen increased intrests from developers and some of them are moving ahead with their plans. The Major Projects that would start construction after the PTC extension are $200- 350 Million Geronimo Wind Energy’s Courtenay Wind Farm, North Dakota, which will range in between 100 and 200 MW and may utilize about 58 to 120 wind Turbines and the 75 MW Broken Bow Wind project in Nebraska and 300MW Pleasant Valley Wind Farm in Mower County, Minnesota. According to Research firm Industrial Info Resources (link), only 3-4 GW of Wind installations are expected to be online in United states in 2013, compared to over 12GW in 2012. They also predict 8 GW and 8.8 GW of new wind energy power plants will be in construction stage and may see construction and operations extending into 2014.